When stores are put together it is usually designed with appearance and functionality in mind. 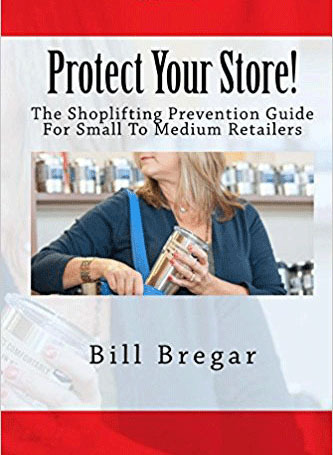 What you may not have thought about is how the structure and layout of a store might be helpful in discouraging shoplifting and other crimes. Have you ever paid attention to the gas station store layouts? Often the cashier island is in the center of the building and raised higher than the rest of the store. Low fixtures allow almost complete visibility of all areas of the store. It may not seem too important but if you have worked in Loss Prevention you know that this is an intentional design that helps reduce theft. By placing the employees higher they can see over customer’s heads and view what is happening in more parts of the store. Shorter gondola shelving may hamper how much merchandise can be displayed but by the same token visibility is enhanced. Those hiding places that shoplifters tend to congregate to become much harder to find. Corral areas where high theft items are stocked. Corralling is the use of gondolas and cash register stands to create an enclosed department. There is only one way in and out and that requires passing the register. This design gives the managers a lot of control over the area and makes theft much more difficult. The drawback to a corralled department is that an employee has to always be dedicated to the department. That means it becomes a payroll expense. Many large chains that were utilizing this concept have moved away from it due in part to the cost of running it. It also ties down an employee who could otherwise help in other areas. Bright lighting throughout the store is important. Criminals seek shadows and darkness to cover their activity especially dark corners. Make these areas uninviting to crooks. Ensure you have lighting that hits every part of the store. This should include your stockrooms as well. Shoplifters are not the only criminals that will take advantage of your building, dishonest employees will too. For fire exit doors ensure the egress bars are set up with delays. Frequently shoplifters will fill up a shopping cart or bag with merchandise and hit a fire door with a getaway car parked right outside. A thief doesn’t want anything that will delay their exit from a building. A delay on a fire exit doesn’t have to be a long one but it does activate the door alarm when the egress bar is pushed. This alerts employees that a fire door is about to open and if someone is nearby they can respond to it quickly. A sign is required to be placed on the door or the bar alerting people that the door does have a delay. This can discourage many potential grab and run shoplifting incidents. Bollards or decorative barriers such as cement planters set up at the edge of the sidewalk outside of the front door(s) are an important feature. The use of such barriers discourage a vehicle being from driven through the entrance in a crash and run theft. 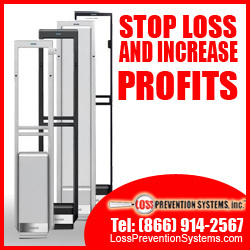 Electronic article surveillance towers at all entrance and exit doors are a powerful deterrent to theft. Shoplifters become aware that anti-theft measures are in place as soon as they walk into the store. Using towers at employee accessible doors discourages associates from stealing from the workplace. A word of caution, don’t set up dummy towers and think you will achieve the same results. Criminals will figure out what is going on. Use Sensormatic equipment and Sensormatic tags and labels to get the real protection your store needs. Have counterfeit bill scanners and cash drop boxes at each register. Cashiers can scan all $20, $50 and $100 bills to prevent fraud. The drop box is used to remove the threat potential of short change artists, till tappers and even robberies. Finally, though they may seem expensive a few strategically placed cameras and Public View monitors can aid your managers in moving thieves out of hard to see locations. Store design has a direct influence on theft and crime. Putting barriers up that will hinder crime and eliminating those obstacles that prevent your team from seeing your customers can improve the security of your building. Remove crime and you make your store safer while also making a positive impact on profits.